Disrupt Agriculture is the slogan for the Fruit Logistica's first-ever Start-up Day, which takes place at the annual fresh produce trade fair in Berlin on Friday 8 February. The theme is designed to focus attention on numerous short- and long-term challenges likely to face the fresh produce industry in the future in agricultural and horticultural terms. For example, experts estimate that the global population will reach close to 10bn people by 2050, which means meeting demand for agricultural products will require growers to increase their output. In addition, it seems, they will have to become more efficient, agile and flexible. With a worldwide digital transformation also offering the agricultural sector several possible solutions when it comes to growing fruits and vegetables, innovative start-up companies are at the forefront of engineering that required change. Twenty such companies will present their disruptive industry solutions on Start-up Day, with each one presenting their ideas at ten-minute intervals in a special area within the exhibition. "We created Start-up Day as a unique, future-focused platform for the industry," explains Madlen Miserius, senior product manager at Fruit Logistica. "The idea is to drive innovative change forward across the value chain. As the leading trade fair for the global fresh produce trade, Fruit Logistica is a perfect venue because this is where all the key industry players come together." Start-up Day focuses on a number of visionary topics: digital farming, ag-tech and supply chain management. Start-ups specialising in digital farming are using digital solutions to optimise agricultural processes and enable more efficient and sustainable operations. Israeli-based start-up AgriTask, for example, aims to increase farm productivity through the extensive use of agricultural data and advanced technologies. It has developed a management tool for businesses in the agricultural ecosystem. 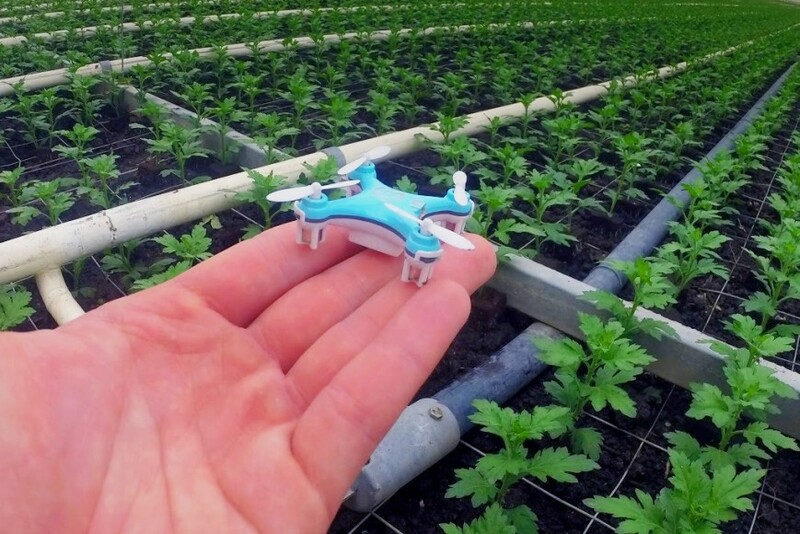 Digital transformation is also being exploited by Dutch AgTech start-up PATS Indoor Drone Solutions. Its small drones autonomously attack flying insects and pests, detecting and eliminating harmful insects such as moths and preventing their further spread. This reduces the need for insecticides and minimises the work involved in plant protection. Reducing workload is also a key objectives in supply chain management, an area where US start-up ImpactVision is helping companies to increase the consistency of their produce and to automate quality control. Using hyperspectral imaging technology, its solution can non-invasively detect properties such as freshness, ripeness or pH, or the presence of foreign objects in real-time. At the same time, it optimises the transport process. Another company, New Zealand-based Sparrows, is also optimising transport operations by combining powerful software and robust hardware to offer customers better visibility, transparency and control over their supply chain. The devices are attached directly to the shipment, not the vehicle, so the customer can access real-time location and temperature data while goods are in transit. Details on all of the companies participating in Fruit Logistica's Start-up Day can be found on the Fruit Logistica website. The programme for the Start-up Stage is available here.